Nestled between the two bustling tourist cities of Cancun and Playa del Carmen, Puerto Morelos gives visitors the chance to dance to a different beat. This quaint Mexican fishing village rests within the northern part of the “Riviera Maya” and boasts the world’s second largest barrier reef. Puerto Morelos' location inside the National Marine Park inspires its local community of Mexicans and foreigners to be active in the preservation of the reef and keep development of the area to a minimum. Puerto Morelos offers a tranquil and safe atmosphere for families, friends and couples alike. Centrally located, Puerto Morelos allows visitors the opportunity to appreciate the many different faces of Mexico. Only 20 minutes from the Cancun airport and 5 minutes from the bus terminal, it's a prime location for exploring the Yucatan Peninsula. Puerto Morelos offers a huge number of activities to fill your time while you are here. Snorkeling and Scuba diving are just the beginning. World class fishing is just off our shore with fish of every size and variety filling our waters. Restaurants are abundant and the variety of food is remarkable for a small fishing village that many residents of the Yucatan Peninsula consider the "best kept secret of the Riviera Maya." Walk the beaches, lay in the sun, eat great food and sample some delicious Mexican beer during your stay. For adventure lovers, Puerto Morelos makes an ideal central location from which to venture out to zip lines, cenotes, ATV trails and horseback riding. All within just a few minutes of our sleepy little fishing village. For those yearning to learn a little something on vacation, tours of Mayan ruins dating back thousands of years are just an hour away by car. Mayan Theme parks of every description are all minutes away from Puerto Morelos. 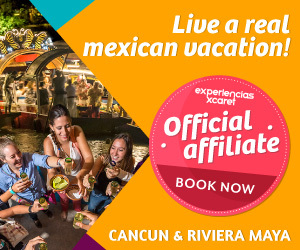 Xcaret, Xel-Ha and many others are available for days of family fun and adventure! Just want to relax while on vacation? Grab a massage at one of the many spa's in the Puerto Morelos area. Whatever floats your boat, there's plenty of water around these parts! Need a Chef in Puerto Morelos?